Hi, my bike makes a racket when started up for a second or two, probably the cam chain tensioner. 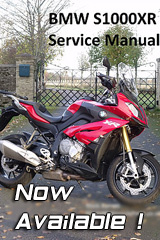 I'm looking at the manual ones but the ones I can find for the s1000xr seem to be double the price of the ones for the s1000r ! But surely they are the same ? Yup mine is doing the same, so hoping they will cover it on the extended warranty I bought !! It will also do it if you put 10/40 instead of 5/40 hence the recall on on the K model when they changed the oil spec. When I bought the bike it had 5w40 oil in and it rattled badly at every start up, I changed the oil to 10w40 and now it only rattles at the very first start of the day. Not sure whether to buy a manual cct or buy the updated silver cap from BMW. 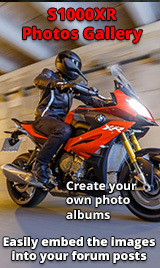 I have ordered the BMW updated silver cap from BMW , £26 collect tomorrow. Now I just need to figure out how to get the fairing side panel off !